Protection from rain and the sun. The Quad Gear UTV Cab Enclosure mounts directly and securely to your UTV's roll cage. Click-close straps and grip-strip tabs make sure it doesn't come off or slide down leaving unsightly gaps. To further enclose your UTV, additional adhesive-backed grip-strips are included. An enclosure is only as good as the material it's made of. This Enclosure is constructed of heavy-duty ProtekX6TM fabric. The ProteckX6 has water-resistant backing and exterior coating for maximum weather and abrasion resistance. The large ultra-clear windshield material, doors and back window give you outstanding clarity, while keeping you protected from tree branches, mud and other flying debris. Keeping you, and your cab, clean and dry! 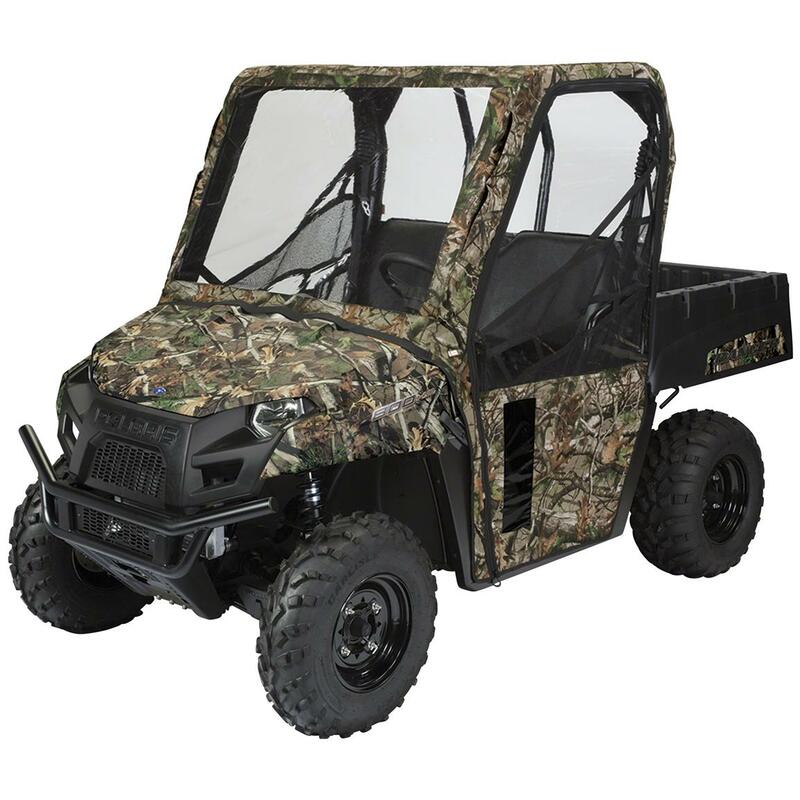 Includes adhesive backed grip-strip to further enclose your UTV. 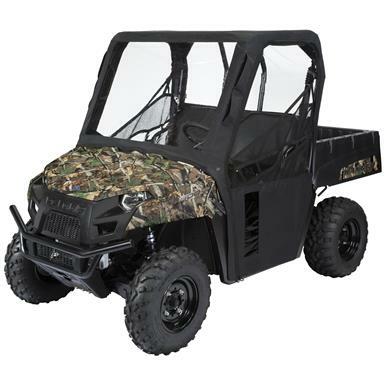 Quad Gear UTV Cab Enclosure, Polaris Ranger Full-Size 800 Series is rated 4.2 out of 5 by 6. Rated 4 out of 5 by Jonas Billy from Great Value Easy to install though the Velcro doesn’t want to stick to the plastic wheel well or along the bottom of the cab. None the less, this can keeps a lot of heat in on a cold day (used it coyote hunting yesterday). The vinyl windshield and windows limit visibility but I can live with the shortcomings of this cab inconsideration that a hard cab costs about $3500. I’m interested to see how durable it will be. Hoping for several years of service. Rated 5 out of 5 by WILDBILL from Great soft cab enclosure Much better design than the last three I purchased from SG. The zipper's kept failing on the older ones. The new one seems to have a metal zipper rather than nylon.